Plan A Budget If You Don’t Have One! You will discover that it is not that hard to plan a budget. The thing is just to get started! 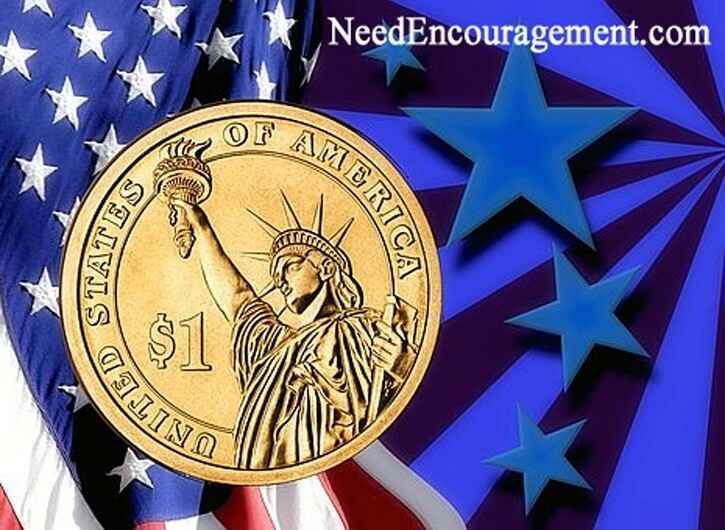 Here are some encouraging scriptures about money. Develop And Plan A Budget To Get Organized! 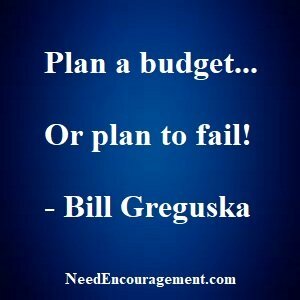 Plan A Budget Or Plan To Fail! When you plan a budget, it will make your money problems manageable! If you plan a budget, you will be delighted you did! Anyone can plan a budget; sit down and calculate your spending and compare it to what you earn. Setting aside 10% for savings, 30% for housing is a good start. I am sure you have asked yourself, why bother to try to prepare a budget at this point in life? I have both lived without a budget plan, and also, I have lived with one. Without some system, all the encouragement you want will not help that much. Without any doubt or hesitation, to plan a budget it is so much wiser and easier than leaving things up to chance! Plan a budget. Learn much you have, and how much you can spend. Without a plan, you have no idea where your money is going. There are different types of budgets that you could consider, using envelopes for each category of spending, using a notebook writing down on each page a spending topic and updating it each time you pay a bill in the mail with a check. With all those payments going out each month, there’s nothing left for you. To get out of debt, you’ve got to change your habits. Create margin. Earn extra income. Live on rice and beans. You can be debt-free. We’ll show you how. Don’t worry about the interest rate, unless two of the debts have a similar payoff balance. In that case, pay off the one with the highest interest rate first. Only make minimum payments on all the other debts and put everything you can into the first debt. When you knock one out, cross it off. Doing this will show you how close you are to becoming debt-free and keep you fired up! 3) Once you’ve paid something off, move on to the next debt on the list. Plan A Budget, But Money Will Not Bring You Joy! Does the Bible say much about handling money in a marriage? When You Plan A Budget You Plan To Succeed! Plan a budget with wisdom found in the Bible! How To Spell “Thanksgiving” Concerning Money? People are highly interested in cash. Money is useful. How much do we know about money and its impact on our situations? How prepared are we to manage it? Are you ready to be responsible for planning a budget? We have to be aware that the usefulness of money doesn’t explain our behaviors in regards to cash; Example: wanting more and sacrificing to do so. 1 Timothy 6:6-10 But godliness with contentment is a great gain. For we brought nothing into the world, and we can take nothing out of it. But if we have food and clothing, we will be content with that. Work Diligently as unto the Lord Colossians 3:23-24 Whatever you do, work at it with all your heart, as working for the Lord, not for human masters, since you know that you will receive an inheritance from the Lord as a reward. It is the Lord Christ you are serving. Click here to get a free spreadsheet budget calculator that will help you with your budgeting. Plan to Solve The Issue By Finding The Problem! Stress is a serious matter and should never be taken lightly; financial problems can be one of the leading causes of stress. Regarding your finances: Ensure you and your spouse are on the same sheet of music (the same personal financial statement and budget). You both need to know: Where you are at financially? Where do you want to be? How are you going to get there? It is OK for one of you to be responsible for balancing the checkbook and paying the bills. Just do so with the understanding and knowledge of both. Plan A Budget And Keep It Simple As Possible! Pay the minimum on every debt except the debt in position number 1 – for this debt pay the minimum plus whatever additional funds you have available.